Today, an Authorization for Use of Military Force (AUMF) against ISIL, including key limitations on ground troops and duration advocated by U.S. 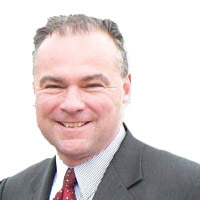 Senator Tim Kaine, cleared the Senate Foreign Relations Committee by a vote of 10-8 – a significant development following Kaine’s five-month long push for ameaningful, transparent debate and vote to properly authorize U.S. military action against ISIL. The approved authorization language can now advance to consideration by the full Senate where Kaine will continue to press for a debate and vote before adjourning for the year.